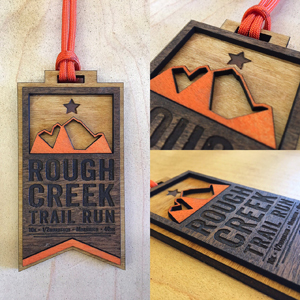 Rough Creek Trail Run is set on the ruggedly beautiful grounds and private property of Rough Creek Lodge & Resort just outside the town of Glen Rose, Texas. steep ascents and descents for a bit, rolling hills for a while, and flats to open up and run your heart out. well-groomed non-technical trail and rocky, rugged, technical sections too! The 3 more technical miles are a featured section of the course called the Rusty Crown. This race experience will create awesome memories for you as you lace up and hang out with the rest of this amazing trail community. Get ready to run! Registration will open March 5th at 8 pm Central Time. Those who register by end of March 7 will receive a limited time discount of $10 off registration into our next trail race, the Dinosaur Valley Endurance Run on November 23. 5 mile, 25K, 50K, 100K, and 100 mile available. 2017 Runners' Manual is here. All participants are expected to read it, print it, put it in their cars, and most importantly, follow everything in it! See you all September 23rd! We want to help make you the best trail runner you can be! Check out our training section for special things we'll be doing.